with the utmost flexibility in mind. We are certified by Yoga Alliance to offer 200 + 300 hour RYT designations. YACEP credits are also available. Our YTT program is always accepting new applicants! Grateful Yoga is pleased to offer a registered teacher training program in accordance with the 200 and 300 hour Yoga Alliance standards. The Grateful Yoga registered teacher training program is designed with the utmost flexibility in mind. Admission to the program is rolling and will remain open until full. Students are encouraged to come as often as their schedule allows, and are not required to attend every session. Individuals will complete the training at their own pace depending on their availability. Students may gain hours observing, assisting, journaling, teaching, and practicing in and around the studio in Montpelier or in the Dominican Republic. Whether your schedule allows you to come daily, monthly, or seasonally, this training is designed to be accessible to many lifestyles. 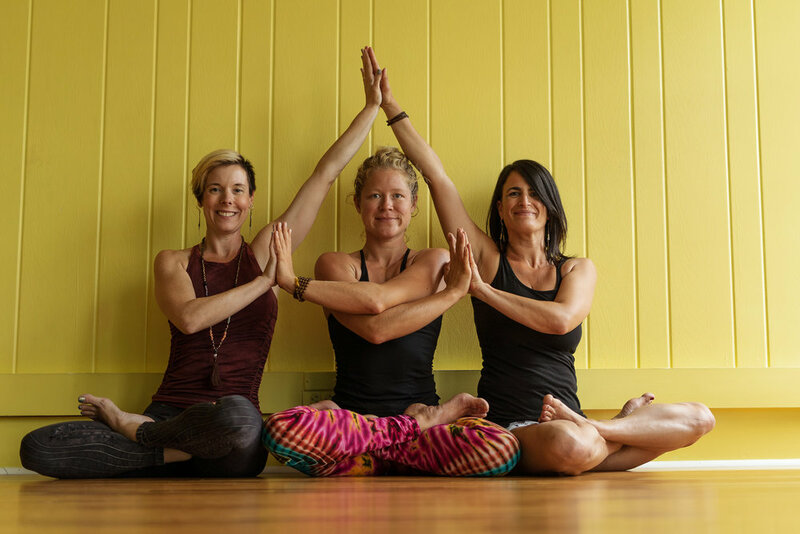 Attend regular scheduled classes, workshops, events, and monthly weekend sessions at the Grateful Yoga Montpelier studio. This format is ideal for those living locally, and students will earn hours at their own pace. View the weekend schedule here. Dates are posted through August 2019, expect the rest of our fall dates to drop sometime this spring! Join Grateful Yoga for up to 4 weeks in the spring (April 1-26, 2019) at the Yoga Loft in the Dominican Republic. Students will gain 45 hours towards their teacher training per week (you can now receive your 200 hr certification in 4 weeks with this option!!). View details here. Join Grateful Yoga for our 3-week summer intensive at Milldale Farm in Fairlee, VT July 15-August 5, 2019. Students will average 55 hours of training per week with one full weekend (Aug 2-4) in collaboration with the VTBT Yoga Fest. The entire 200 hour training can be completed session and there are continuing ed + 300 hour training options available. View details here. Tuition for the program is $2600, and payment plans are available! Call 802.224.6183 or email Chrissy with any questions or to register for the Grateful Yoga teacher training. Please note that travel and accommodations when applicable are not included in the cost of the training. The Grateful Yoga teacher training program is now eligible for the VSAC Non-Degree Grant. Learn more and apply now.